Readers, you’ve probably all read about my Chinese foodie adventure by now but I’m dragging the trip out of the archives of my mind in order to write a new post. One of my favourite foodie experiences on the trip was having steamed dumplings at Mr Shi’s on the last night of the trip. It was a little backstreet dumpling house with around 10 tables and menu half the size of Beijing. 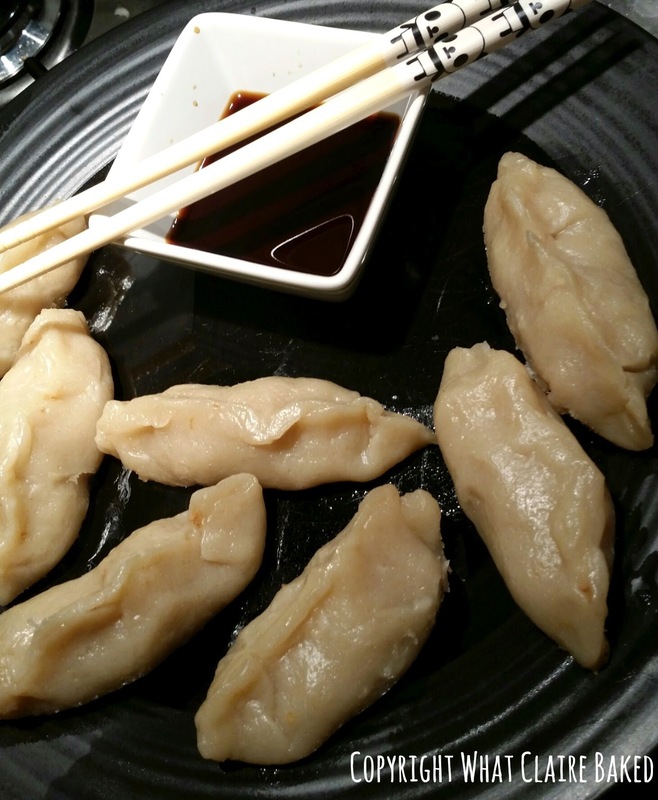 I was so inspired by the food there, I went out and bought a bamboo steamer (£2.99 from Home Bargains) and decided to create my own dumplings. I really struggled to get a UK recipe so have taken the dough from Foogio.com and made my own filling. These are easy to make and easy to steam but the dough does take a bit of time to prep. My half quantities made around 18 dumplings which is more than enough for two. 1. Firstly make your dough. Sift the flour and salt into a bowl and slowly add the water, until you form a dough. It shouldn’t be sticky. Turn out onto a floured board and knead for around 10 minutes, until it’s smooth and elastic. Return to a bowl, cover with a damp cloth and set aside to rest for around an hour. 2. Meanwhile, start to prep your filling. Chop the spring onions as small as you can and peel and finely grate the carrot. 3. Brown the mince in a pan over a medium/high heat. 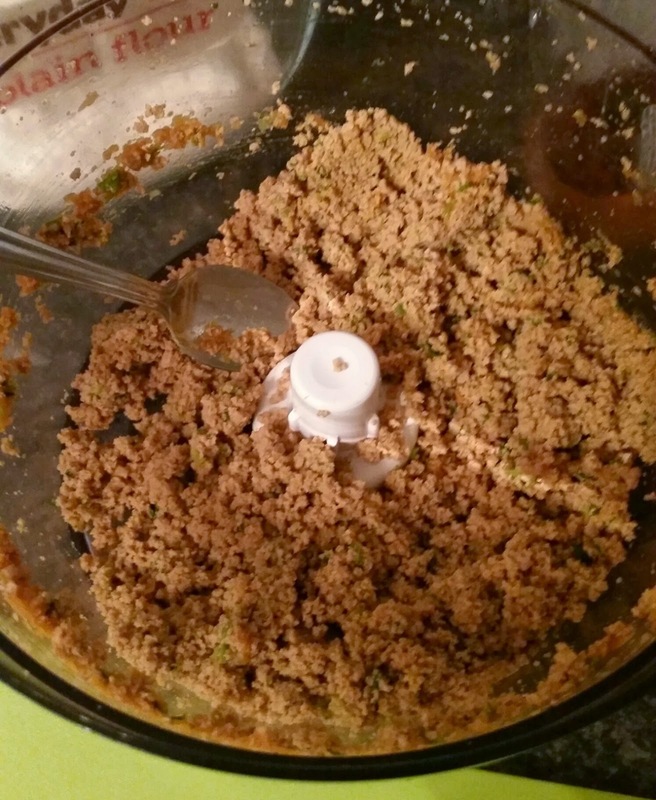 Break the mince into small pieces using two wooden spoons. Pour off any fat. 4. Add in the garlic to your taste, the carrot and the spring onion. Continue to cook through. 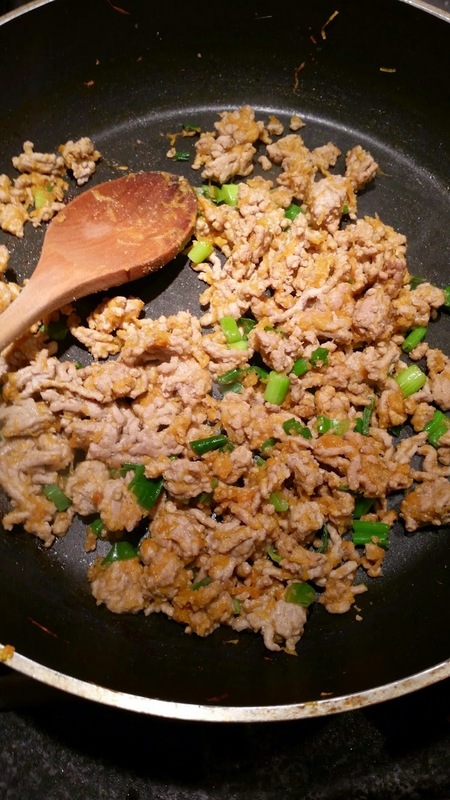 Add in the soy sauce, rice wine and sesame oil. Cook until the mince is fully cooked. 5. Remove from the heat and transfer the filling to a food processor. Pulse until smooth and almost paste like. However, you want to retain some texture – not baby food standard!!! If the filling isn’t coming together, you can add a tiny bit of boiled water to soften it up. Set aside. 6. Once your dough has rested, turn out onto lightly floured board and break smaller pieces of dough off the ball. Roll out until a few mm thick. Repeat. 7. Using a round fluted cutter, cut circles out of your dough, until you have 18 pieces. 8. Add a teaspoon of filling to the centre of each circle and wet your finger. Run it around the dough and bring the two sides together, to form a sealed parcel with no air holes. 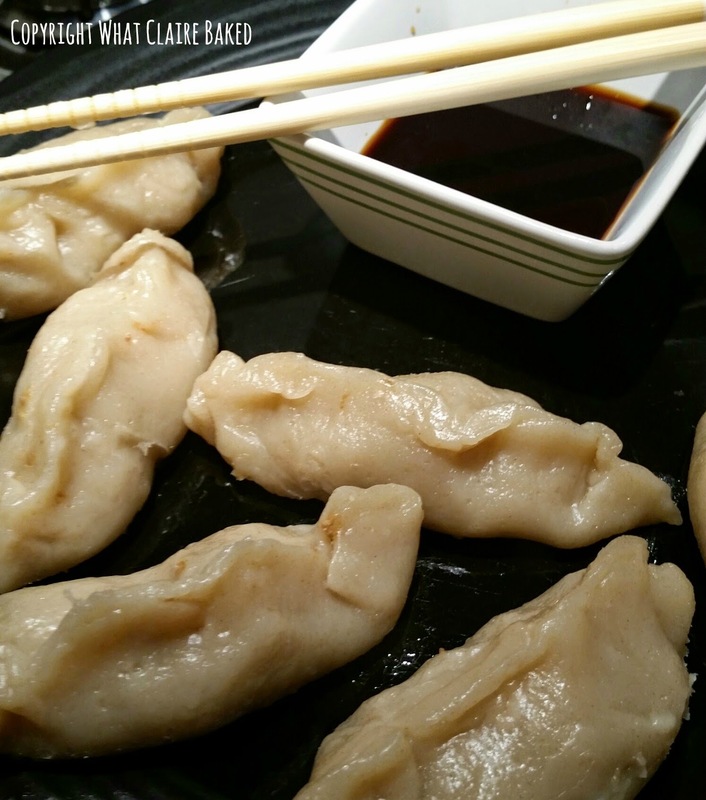 Congratulations, you’ve made your first dumpling! 9. Repeat this process another 17 times… Sorry! 10. Once all your dumplings are assembled (and if you have a two level steamer) add 9 dumplings to each level of the bamboo steamer. If you have a single layered one, you’ll need to cook in two batches. 11. Add boiling water to your wok to just below the bottom layer of the steamer. Put the hob on and as the water begins to boil, place the steamer into the wok (with the lid on the steamer). Steam your dumplings for around 10 minutes, once the steam really begins to take hold. 12. Remove from the steamer and serve immediately. 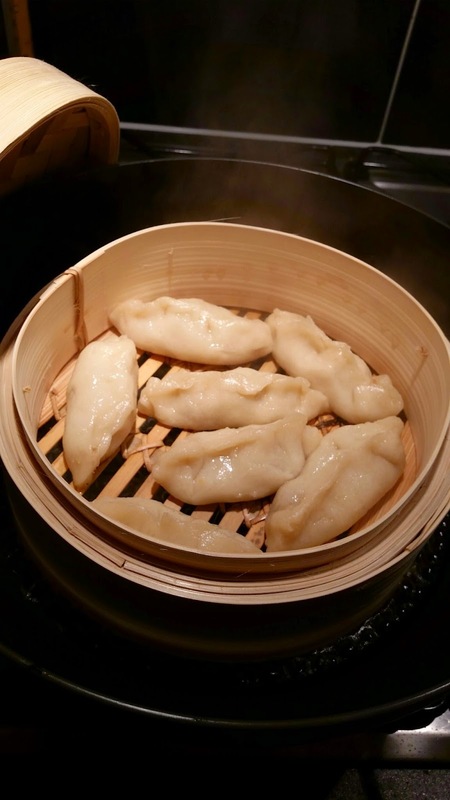 If your dumplings stick to the steamer, a gentle push should remove them with no damage. Serve with soy dipping sauce.